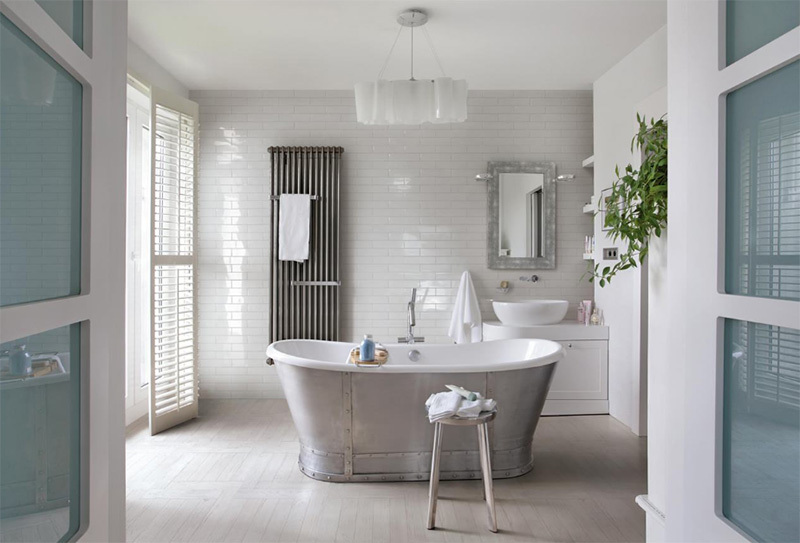 The curves of a bath tub can add more appeal to a bathroom space. One item in the bathroom that will instantly make you feel relaxed is the bath tub. Aside from making you feel this way, it is of course an essential item in the bathroom for bathing or merely for relaxing. You can also spend time just dipping in the water white reading a book o listening to music. Bath tubs come in different designs and shapes. Because of that, you can just choose which bath tub you would like to use for your home. 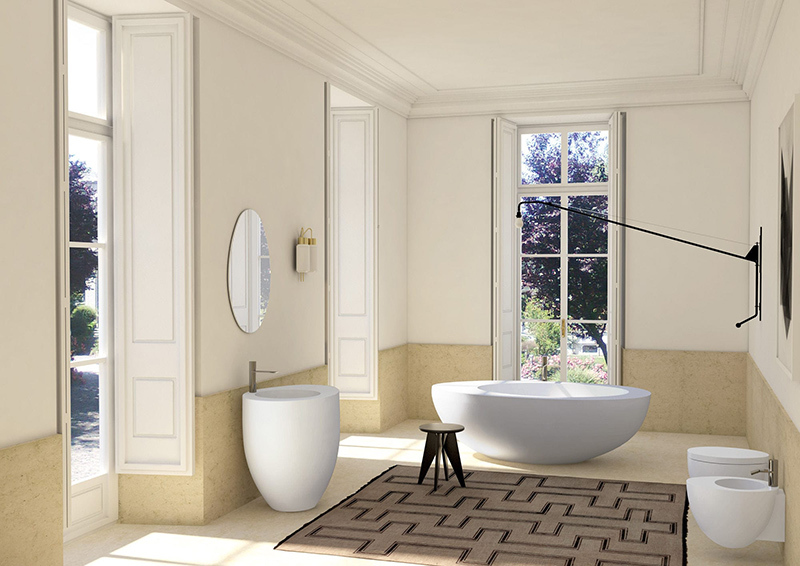 Today, we are going to show you some free-standing oval shaped bath tubs in different bathroom areas. If you have a bathroom that looks edgy. 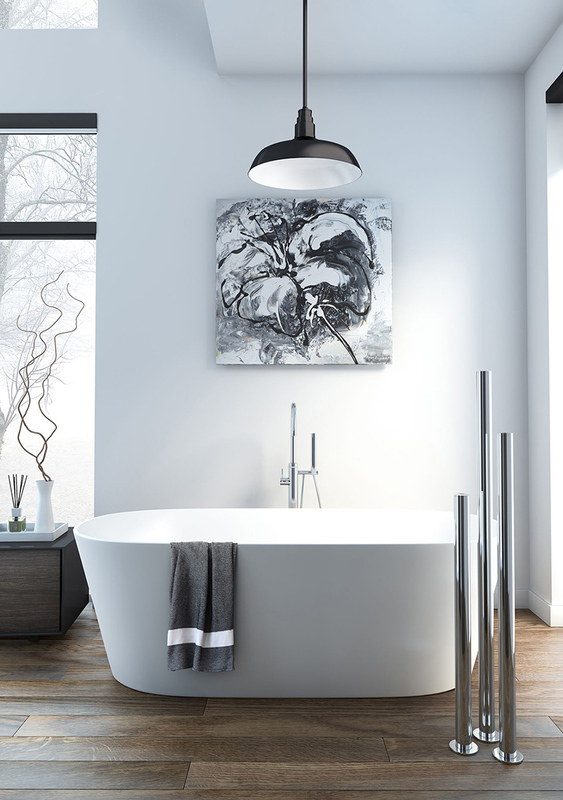 You can try adding an oval shaped bath tub to give it a curvy softer look. The images of the interiors below will give you ideas on how your bathroom will look like once you bring in this kind of bath tub inside it. It is nice to see an oval bath tub in a bathroom like this and you can notice that the texture of the flooring varies defining the areas of the bathroom. 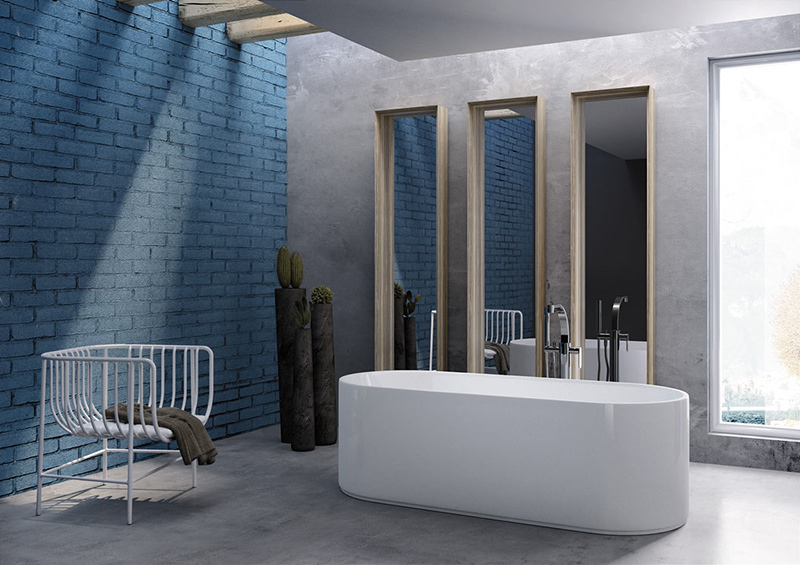 A modern bathroom with lovely contrast of colors and an oval bath tub. The toilet and the sink also has curves as well. 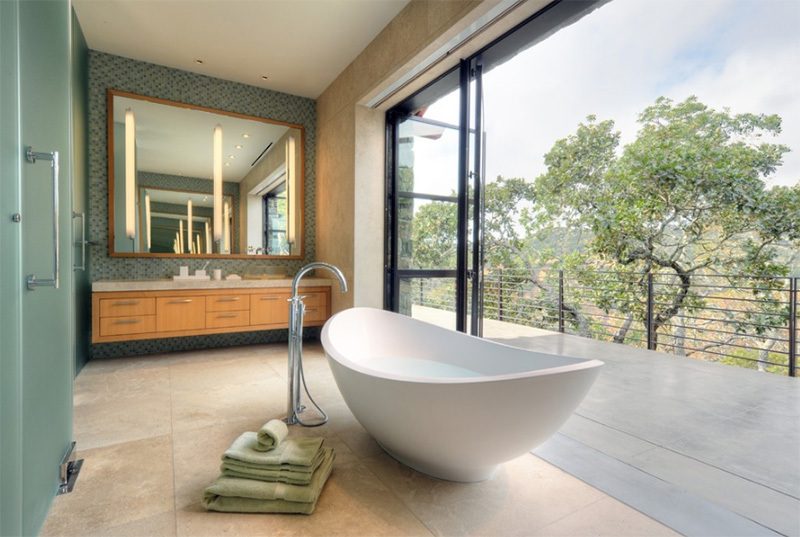 It would be very nice to overlook to that gorgeous view of nature while you are inside this bath tub. 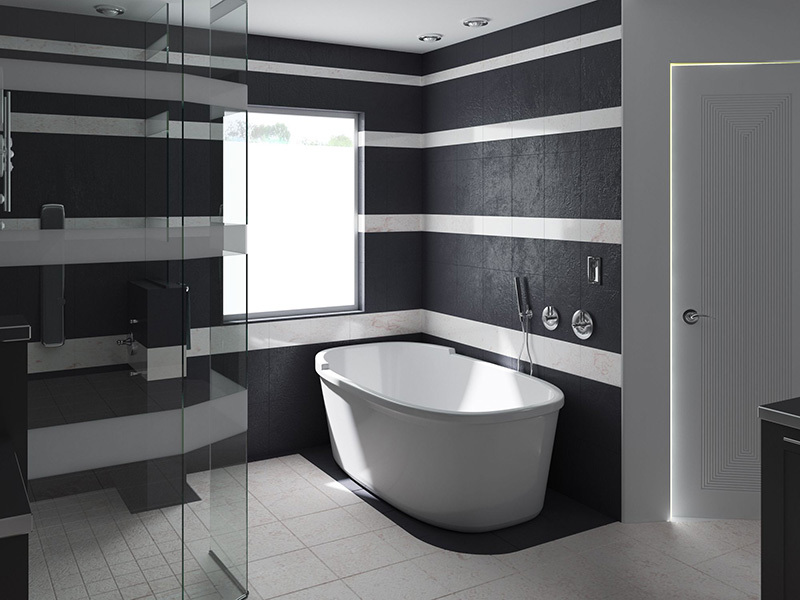 Another beautiful modern bathroom in black and white. Expect to see white colors in the bathroom’s tub. It could be hard to arrange stuffs with a window shaped like this but with an oval bath tub, it looked really nice. 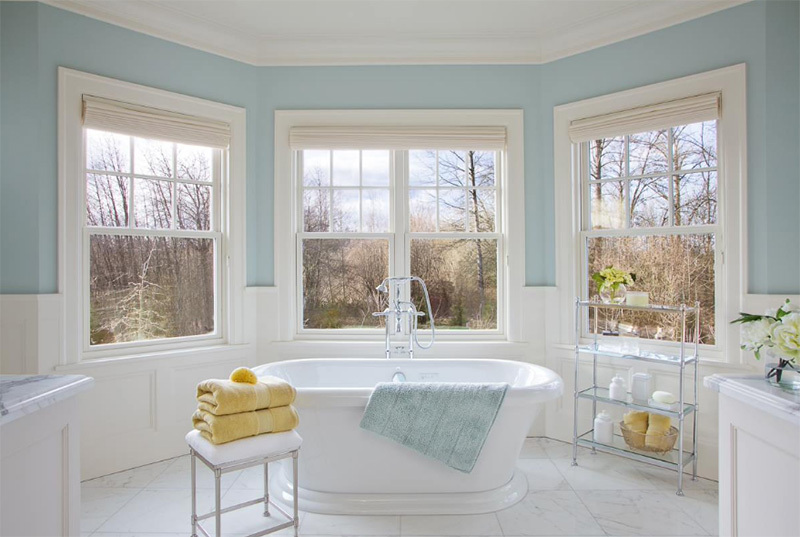 A spa-like bathroom doesn’t just have an oval bath tub but also a shower area that has a glass enclosure. 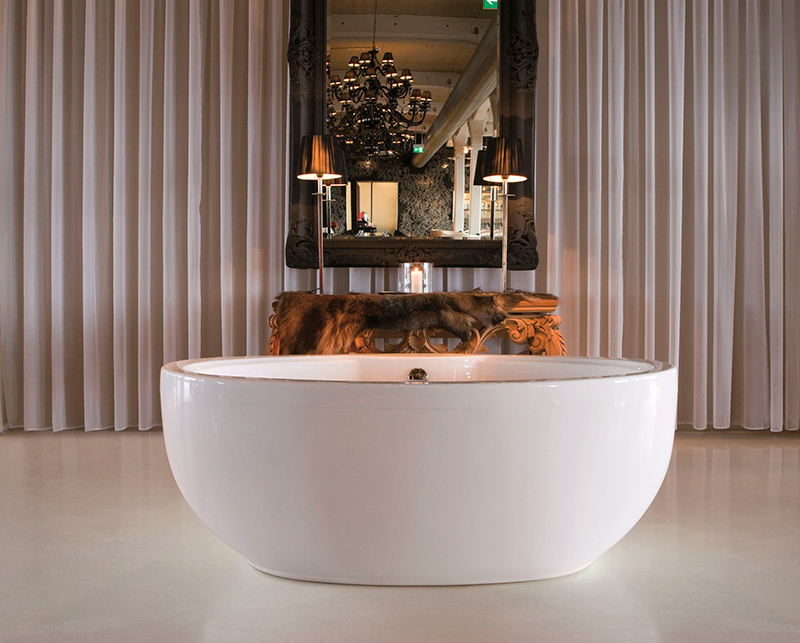 This is a unique oval bath tub because of its materials giving this bathroom a subtle industrial appeal. It would definitely be nice to dip into this water of the white oval bath tub that looks even lovelier with that wood carrying some bath essentials. 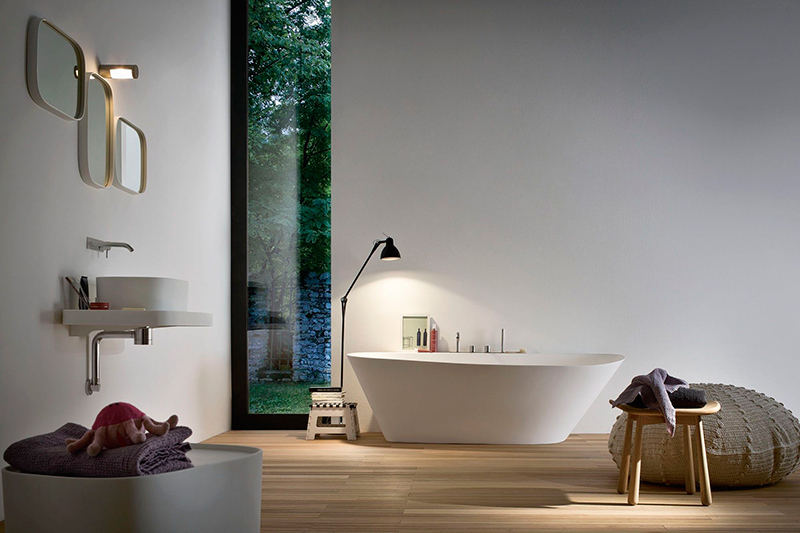 Aside from that sleek modern tub, what I noticed here is the beautiful wooden wall with a void that acts as a shelf. One good way to decorate the backdrop of a tub is by adding a mirror and an intricate table like this one. This sure is a spacious bathroom because it has a glass enclosure where you can see the bath tub and even the shower area as well. 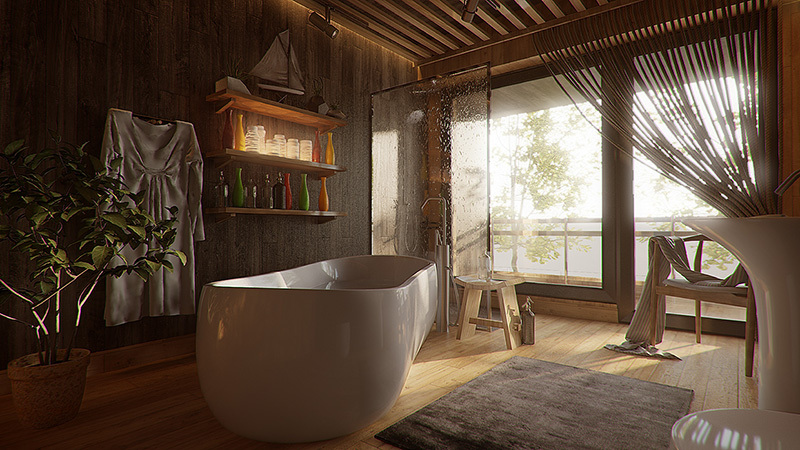 This is a nice bathroom featuring various textures in it. But what caught my attention is that feature wall and how it is seemingly open to the outdoor area through a floor-to-ceiling window. Another bathroom that has a bath tub with the shower area inside a glass enclosure. What I noticed here are the lights. Look at that beauty outdoors! I’d love to see the snow! 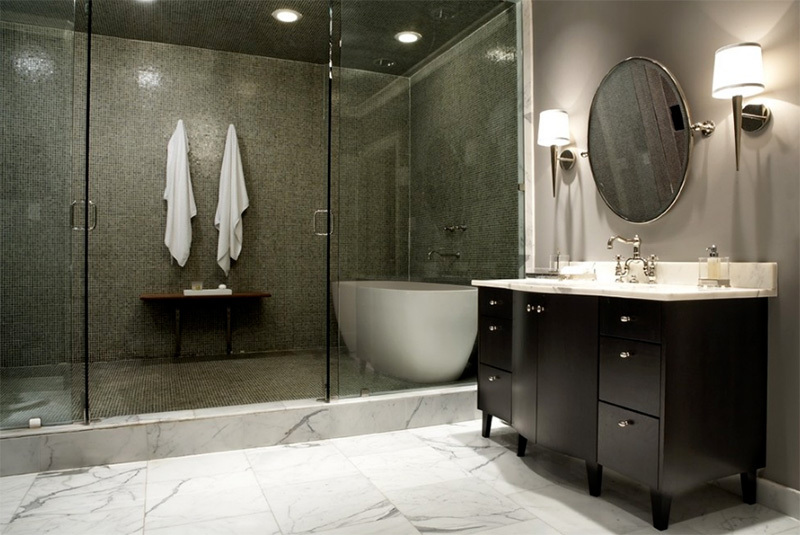 The bathroom has black flooring that is a perfect contrast to the bath tub. 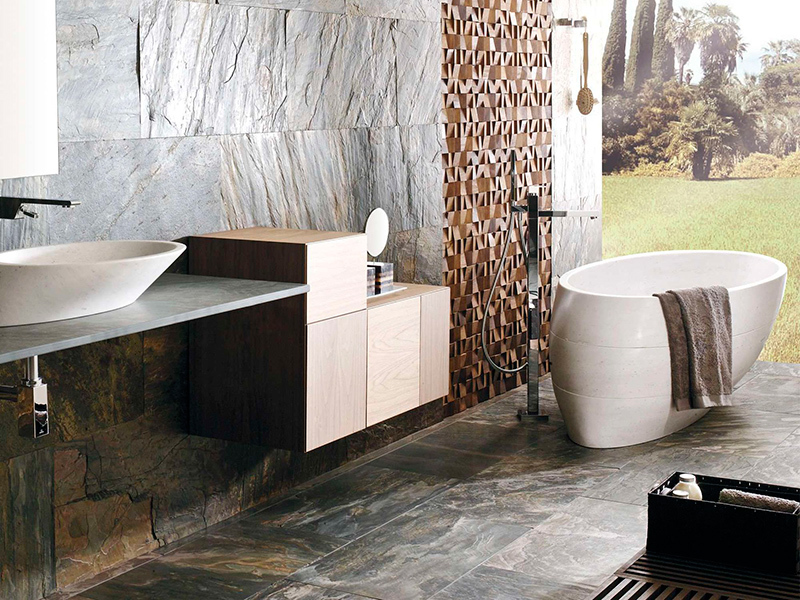 Isn’t this a nice bathroom with a very neat look? I now you will agree with me that it sure is a very stunning space despite its simplicity. This bathroom has a floor-to-ceiling window that allows a view of the outdoor area. You can see that aside from the bath tub there are also other curves in the area. 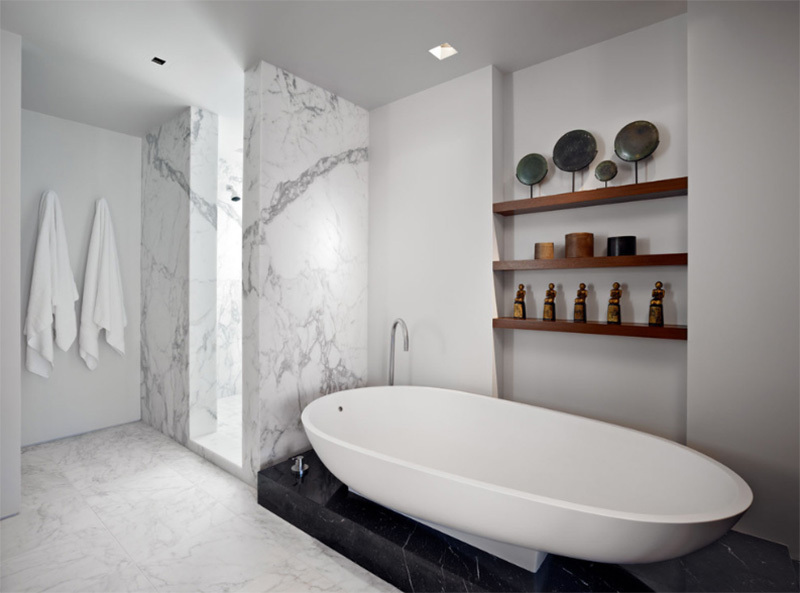 Instead of just placing it on the floor, the bath tub is placed on top of a black marble platform giving more emphasis to its beauty. If you have a brick wall in the bathroom, you can also use blue for it instead of retaining the color of the stones. Looking great, right? There are many curves and ovals in this bathroom and they all look great together. 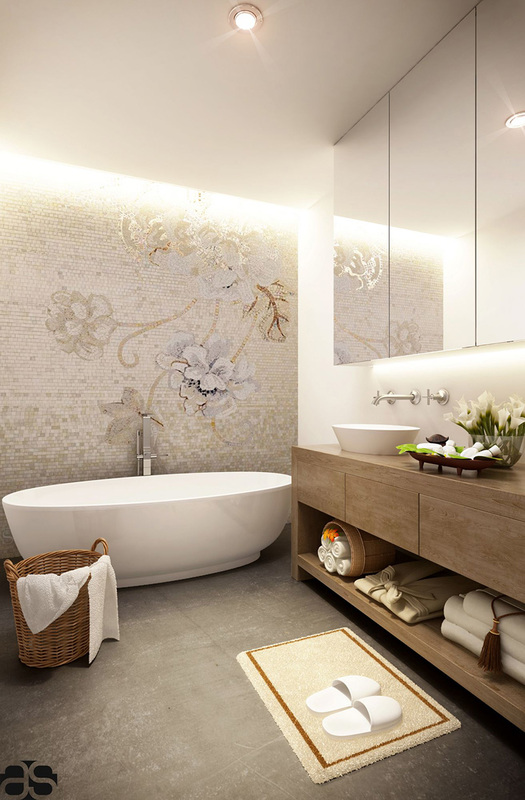 I can say that the mosaic wall of this one is indeed very gorgeous forming pretty flowers just above the oval bath tub. What adds beauty to this bathroom is the wooden vanity. 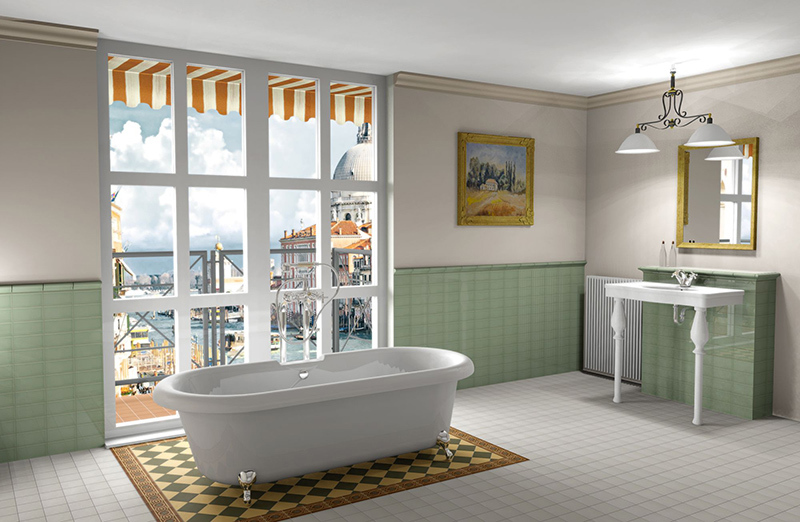 This one makes me think of a nice vacation area where you can take a look at the waters, boats, mountains, cityscape and all while taking a bath. 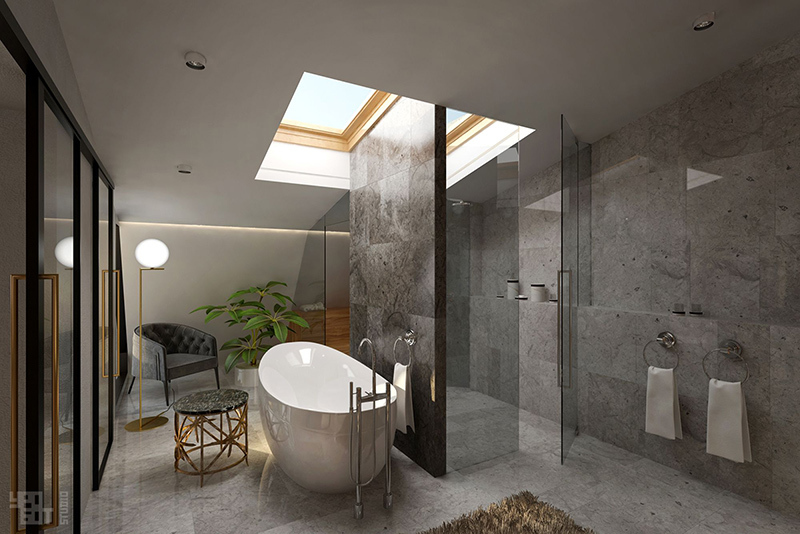 The skylights of the bathroom bring more natural light into the space which is indeed great because of the black walls on it. The bath tub is one sleek feature in it. Well, I know that seeing an oval bath tub is not new to you but the images above might have changed your mind about using one with edges. But we do not discourage the use of a rectangular bath tub of course because you can use that too. In truth, it actually depends on the size and type of space you have. But since the ones featured above are freestanding, you can just place it in any place that you like in your bathroom. 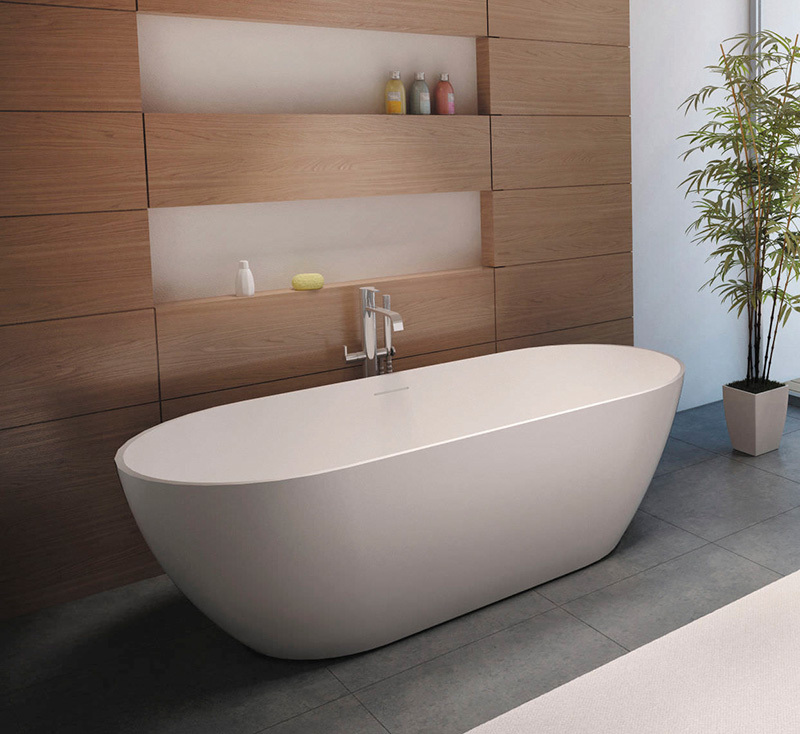 Oval bath tubs are suitable to spacious bathroom spaces or in an area that has enough space for something with curves.